Here's the problem with programmable networks: Most network engineers are not programmers. Further, SDN aims for simplicity in its programmability, but rule making and implementation can be quite complicated. Ph.D. candidate Andreas Voellmy is aiming to solve some of these issues. Voellmy and his team are working on the Maple Controller, which automates -- or simplifies -- the rule-making process and eases the creation of flow tables in controller-based networks. The Maple Controller should also make it easier to scale programmable networks with stable performance. 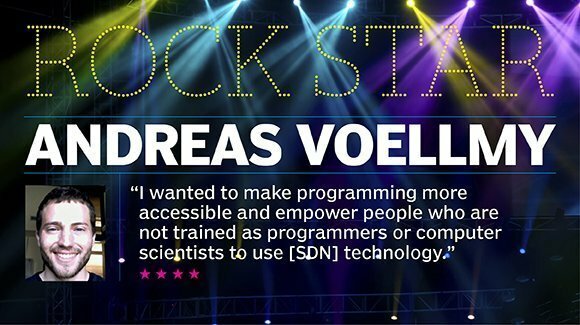 For Voellmy, making programmable networks accessible is essential. OpenFlow, for example, is at a turning point. If advances aren't made soon, the maturing technology will stall, and engineers will sour. Take a look at the full story of developing Voellmy's Maple Controller.